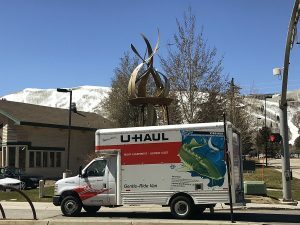 City Hall on Friday said it has hired a onetime Park City Building Department staffer to lead the crucial office at a time when the construction industry continues a post-recession comeback, opting for a person with a background in the Marsac Building and experience in the complexities of developing in Park City. Park City Manager Diane Foster picked David Thacker to be the chief building official from a field of 17 people who sought the position. Thacker is scheduled to start on Monday. Michelle Downard, who led the department on an interim basis, will return to her post as the deputy chief building official upon Thacker’s arrival. Thacker will return to Park City from Boulder, Colorado, where he was the chief building official and also served as the building services manager for the municipal government there. City Hall said Thacker has spent more than 17 years in the industry, working at the local, state and federal levels. The position in Boulder involved managing personnel, budgeting, developing building and energy codes and enforcing codes. Thacker worked in the Park City Building Department from 2007 until 2012 as a building inspector and a senior plans examiner. He worked in the same roles in Wasatch County for three years ending in 2007. The five years in the Building Department in Park City were marked first by continued strength in the industry followed by a steep decline in the numbers during the recession. 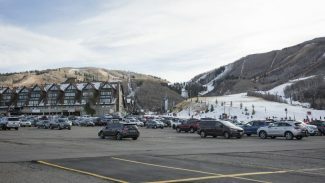 Anne Laurent, the community development director in Park City and the immediate supervisor of the chief building official, said in an interview Thacker’s background in Park City as well as his time as the chief building official in Boulder was attractive to City Hall. “He’s coming back with experience coming from a community that has many shared goals.” Laurent said about Boulder, citing sustainability and quality-of-life goals in that community. Laurent also noted Thacker supports a team approach to government work. Thacker outlined an idea to create a “culture in building that’s growing and taking it to the next level” during the hiring process. “You have to find the right balance between what the codes say . . . but being responsive to the community,” she said. 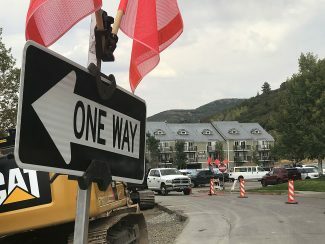 The construction industry in Park City has enjoyed a strong increase in numbers since the depths of the recession, hitting at least $100 million in consecutive years in 2014 and 2015 for the first time since a four-year string that ended in 2008. The increases have been broad as landowners broke ground on new projects or renovated existing ones. The strength is expected to continue in coming years with the possibility of large projects and smaller ones. “In talking with Dave, it is clear to me that his time as chief building official for Boulder, Dave has gained a lot of experience, both about his profession and about leading a strong team,” Foster also said in the prepared statement. The Park Record was unable to contact Thacker. Thacker will succeed Chad Root, who served as the chief building official from mid-2011 until early 2017. The city manager said at the time of his departure Root intended to move to California.